Jeff Goodwin's research interests include social movements,�revolutions, and terrorism. 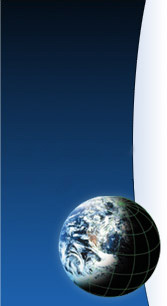 He has conducted research in�Central America, the Philippines, South Africa, and Ireland as well as in the United States. He earned his BA (1980, Social Studies), MA (1983, Sociology), and PhD (1988, Sociology) at Harvard University. Professor Goodwin's e-mail address is jeff.goodwin@nyu.edu. His mailing address is Department of Sociology,�New York University,�295 Lafayette Street, Room 4115, New York, NY 10012. Jeff Goodwin (2007), "'The Struggle Made Me a Non-Racialist': Why There Was So Little Terrorism in the Antiapartheid Struggle," Mobilization, Vol. 12, No. 2, pp. 193-203. Jeff Goodwin (2006), "A Theory of Categorical Terrorism," Social Forces, Vol. 84, No. 4, pp. 2027-46. Jeff Goodwin (2006), "What Do We Really Know About (Suicide) Terrorism?," Sociological Forum, Vol. 21, No. 2, pp. 315-30. Jeff Goodwin (2004), "What Must We Explain to Explain Terrorism" (a review essay on Jessica Stern, Terror in the Name of God: Why Religious Militants Kill , Social Movement Studies, Vol. 3, No. 2, pp. 259-65. Jeff Goodwin is author of No Other Way Out: States and Revolutionary Movements, 1945-1991 (Cambridge University Press, 2001), which won the 2002 Outstanding Book Award of the Collective Behavior and Social Movements Section of the American Sociological Association, an honorable mention for the Mirra Komarovsky Book Award of the�Eastern Sociological Society, and an honorable mention for the Mattei Dogan Award (best book published in the field of comparative research) of the Society for Comparative Research. This book�explains why revolutionary movements have become powerful in some societies, but not in others, and why they have seized power in some societies, but not in others. Jeff Goodwin was coeditor (2005-07), with James M. Jasper, of�Contexts, the magazine of the American Sociological Association for general readers. They are also coeditors of�The Contexts Reader��(W.W. Norton, 2007). 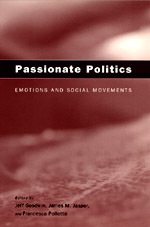 Jeff Goodwin is also�editor, with James M. Jasper and Francesca Polletta, of�Passionate Politics: Emotions and Social Movements (University of Chicago Press, 2001). This book is all about "bringing emotions back in"�to the study of social movements and political conflict.� He has also edited three other titles on social movements with James M. Jasper:�The Social Movements Reader: Cases and Concepts (Blackwell, 2003; second edition forthcoming, 2008),�Rethinking Social Movements: Structure, Meaning, and Emotion�(Rowman & Littlefield, 2004), and Social Movements: Critical Concepts in Sociology, 4 vols. (Routledge, 2007). These books can be purchased at independent bookstores,�Amazon.com, or�Barnesandnoble.com. Jeff Goodwin (forthcoming, 2007), "Which Side Are We On? NYU's Full-Time Faculty and the GSOC Strike," in The University Against Itself: The NYU Strike and the Future of the Academic Workplace, edited by Monika Krause, Mary Nolan, Michael Palm, and Andrew Ross (Philadelphia: Temple University Press). Jeff Goodwin and Ruth Horowitz (2002), "The Methodological Strengths and Dilemmas of Qualitative Sociology," Qualitative Sociology, Vol. 25, No. 1, pp. 33-47. Jeff Goodwin, James M. Jasper and Francesca Polletta (2000), "The Return of the Repressed: The Fall and Rise of Emotions in Social Movement Theory,�Mobilization, Vol. 5, No. 1, pp. 65-84. Jeff Goodwin (1999), "Size Does Matter (and Nine Other Tips for Effective Protest)," Mother Jones (March-April), pp. 58-59. Reprinted in Annual Editions: American Government, Thirtieth edition, edited by Bruce Stinebrickner (Columbus, OH: McGraw-Hill, 2000). John Foran and Jeff Goodwin (1993), "Revolutionary Outcomes in Iran and Nicaragua: Coalition Fragmentation, War, and the Limits of Social Transformation," Theory and Society, Vol. 22, pp. 209-247. Jeff Goodwin and Theda Skocpol (1989), "Explaining Revolutions in the Contemporary Third World," Politics and Society, Vol. 17, No. 4, pp. 489-509. Reprinted in Theda Skocpol, Social Revolutions in the Modern World (Cambridge University Press, 1994), pp. 259-278. Professor Goodwin has taught courses on revolutions, social movements, the music of protest, terrorism, introduction to sociology,�social theory, and the methodology of the social sciences. He also has a keen interest in the sociology of African Americans, including the work of W. E. B. Du Bois,�Charles S. Johnson, E. Franklin Frazier,�Oliver Cromwell Cox, and St. Clair Drake, and he has taught a seminar on W. E. B. Du Bois: The Making of a Radical Scholar-Activist. He is a participant in, and founding member of, with Edwin Amenta,�James M. Jasper, and Edward W. Lehman, the workshop on Politics, Power, and Protest (PPP) in the Department of Sociology at NYU. Jeff Goodwin is past chair of the Comparative and Historical Sociology Section and past council member of the Political Sociology Section�and�the Collective Behavior and Social Movements Section of the American Sociological Association. He has also served as�an executive committee member of the Eastern Sociological Society�and is currently a member of the executive board of Research Committee 47 on Social Classes and Social Movements of the International Sociological Association (ISA). He was previously an associate editor of Visual Studies, the journal of the International Visual Sociology Association (IVSA)�and book review editor, with James M. Jasper, of Sociological Forum. Professor Goodwin, along with Ruth Braunstein, Russell Ferri, and Michael McCarthy, is a member of the NYU team that is currently editing, In Critical Solidarity, the newsletter of the Labor and Labor Movements section of the ASA. Professor Goodwin is a member of the American Sociological Association (ASA), the International Sociological Association (ISA)�(Research Committees 47 and 48),�the American Political Science Association (APSA), the Society for the Study of Social Problems (SSSP), the Social Science History Association (SSHA), the Eastern Sociological Society (ESS), the Pacific Sociological Association (PSA),�the Latin American Studies Association (LASA), the Academy of Political Science, and the International Visual Sociology Association (IVSA). Within the ASA, Professor Goodwin has been most active in the sections on Comparative and Historical Sociology, Collective Behavior and Social Movements, Political Sociology,�and Labor and Labor Movements. Professor Goodwin is a faculty affiliate of the Center for Latin American and Caribbean Studies (CLACS) at NYU. He�is also a member of the American Association of University Professors (AAUP) and has served as an officer of the NYU chapter of the AAUP.